Trouble! It is something everyone is all too familiar with. We all face troubles and problems on a daily basis. 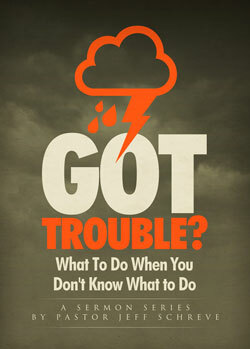 But sometimes trouble reaches a fever pitch, and we literally don't know what to do...but God does. In this encouraging series Pastor Jeff Schreve shares wonderful encouragement from God's Word to help see you through the darkest of storms to the light the Lord has for each of us.